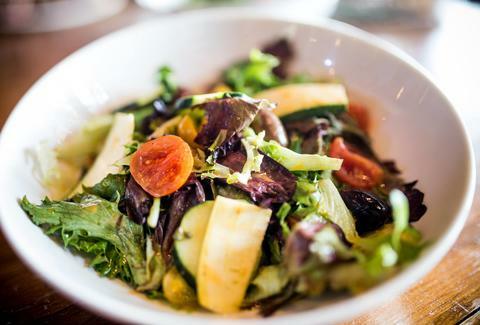 Because no one wants to disappoint Michelle Obama, it's time you roll some more vegetables into your diet in Big D. Local restaurants are making veggie options more available, and they are far removed from the bland flavorless mush piles of yesteryear. These 15 places around Dallas make sure to knock it out of the park with flavor and give you a reason to come back and try more. “Be raw” only sounds like a solid idea when it comes to fruits and veggies; any other time that phrase is uttered, there’s more of a health risk. 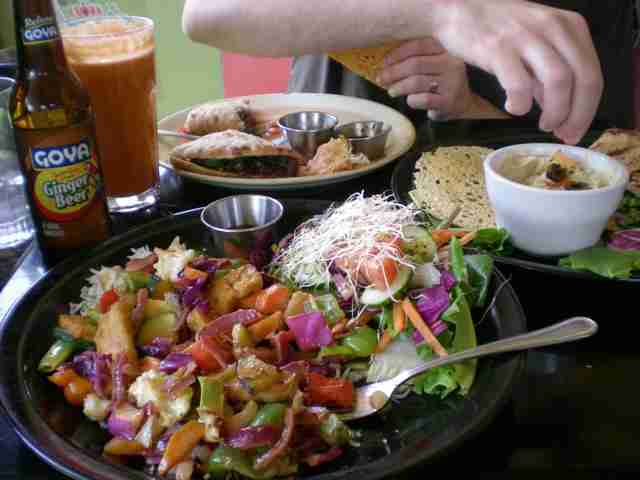 Be Raw Food and Juice covers a variety of diets and types of cuisines. Whether you’re looking for breakfast, lunch, or dinner, and anything from pizza to Mexican to Asian, there’s something raw, vegan, or vegetarian, and maybe something that makes you feel like you lived life dangerously again. Food trucks have gained notoriety around Dallas in the past 5 years, all of which have their quirks. However, finding that “healthier” option, or even one that is devoid of meat and still capable of filling you up can be trickier. The Nammi Food Truck brings Vietnamese cuisine to wherever you are (or wherever you find them). Choosing the Ginger Soy Tofu for your Banh Mi isn’t so much as an option as much as it is a necessity. Hands down, one of the coolest places to eat in Dallas. Cosmic’s quaint size seats you close to the next table, but not where it becomes uncomfortable, but more like it’s with family. Once you’re in your comfortable seat, kick back and enjoy their portobello trance. But if that’s not in your wheelhouse, and mushrooms weird you out because it’s a “texture thing”, the rest of the menu is vegetarian and will have something still just as amazing. Here’s another incentive to head to Cosmic Café; you know that Indian guy in all of Wes Anderson’s movies? He totally used to own Cosmic Café and the Wilson brothers and Wes Anderson used to spend a lot of time there. That alone should be more than enough reason. Spiral’s entire menu is chocked full of items that you, simply, wouldn’t think are capable of being vegan. A Philly-Cheesesteak? Hamburgers? A sandwich that references one of the best comic’s jokes involving food and frilly toothpicks? CHECK CHECK AND CHECK! 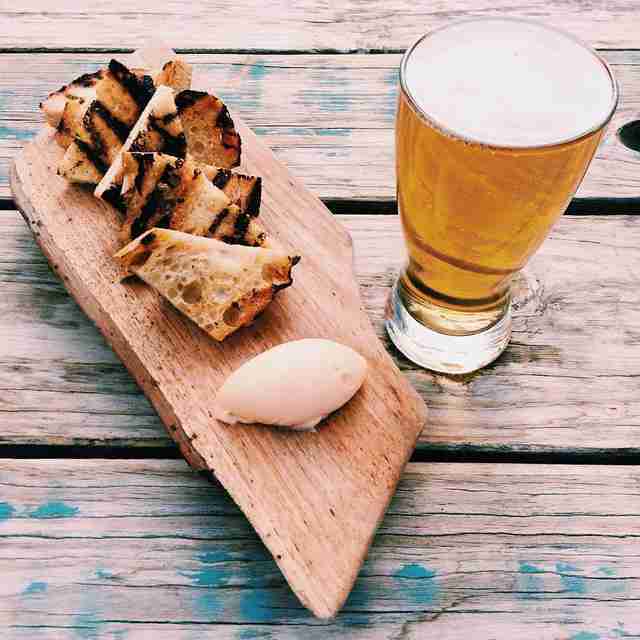 Before Small Brewpub opened, they made sure to find the best chef that was looking to bring 5 star food at amazing prices. The irony of the whole thing is that Chef Misti Norris even used to be a vegan. She’s made sure to bring aspect of her life into her menu. The Fried Wild Mushrooms are the perfect start to an evening at Small and great for sharing, but when it’s time to indulge in your entrées, their Strangolapreti bats one thousand. Shoving food into other food is the American way. But until we get a veggie turducken, your best stuffed offering comes from Sundown at Granada in the form of gorgeous haas avocados filled with options ranging from tomato, feta, black beans, sweet corn, hemp seed, and agave, to sun-dried tomato, toasted almond, basil, and shaved Parmesan, to free-range chilled grilled chicken and candied nuts for the person that still wants meat. The Machu Picchu is another dish that you’ll need to try that sounds like it belongs in your Pokémon Go Pokédex and stomach. If you ever want to experience Bishop Arts, but want to steer clear of the crowds, Nova is the place to go. 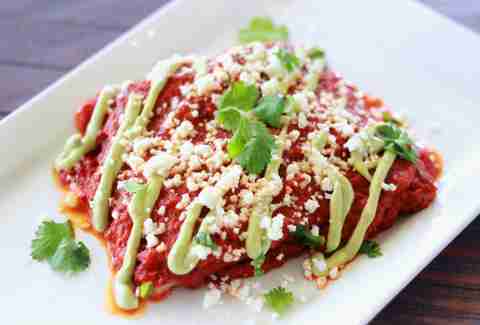 Their veggie enchiladas are not like the typical ones you’ll find at any Tex-Mex restaurant. The house made red salsa perfectly coats a tortilla filled with black beans, corn, mushrooms, anaheims, cilantro cream, pepper-jack cheese. My favorite part of the dish is the fact that you won’t even need to add salt, which is a big plus. 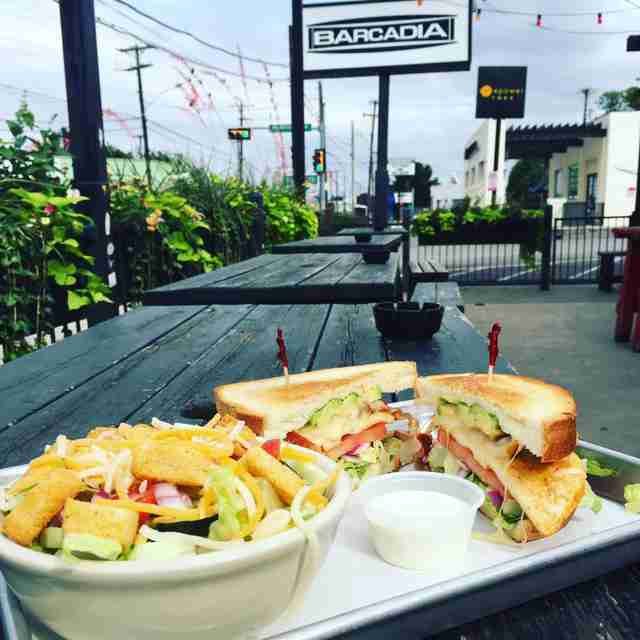 Calling any of the food options at Barcadia is an insult. There have been nights where I’ve gone to Barcadia for the food alone with drinks as an afterthought. If you’re going to be surrounded by a great patio, life-sized Jenga, and classic video games, you’ll have to get the Frito pie with veggie chili. It brings patio food to a whole new level. Tacos are one of the most versatile foods that there is. It can be breakfast, lunch, or dinner and every/all kinds are always good. AND THE VARIETY! You can always mix and match ingredients and flavors and have a different taco every time. But there may be one that you haven’t tried. 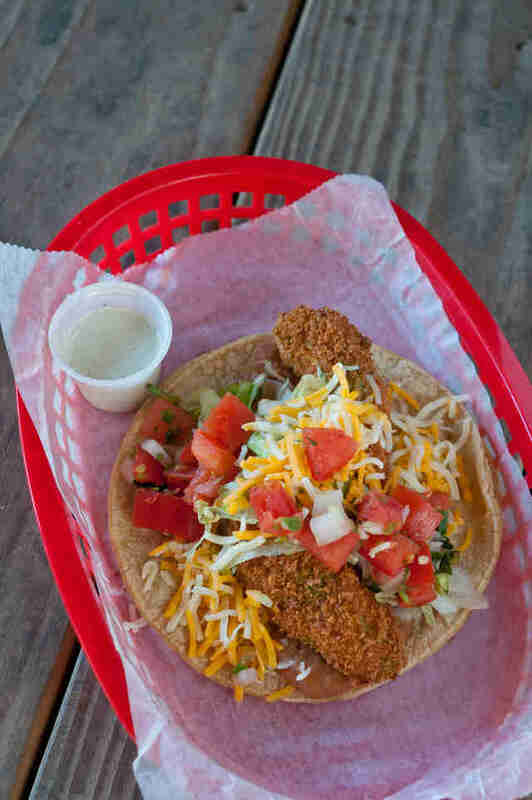 Torchy’s Tacos has a fried avocado taco that has the perfect amount of batter around each piece to give great texture with each bite and that full flavor of avocado. If you ever find yourself ranting “Whole Foods is corporate,” and you need a grocery store with the best vegetarian BBQ sandwich (after all, we are in Texas), then Ann’s Health Food Center is that stop. 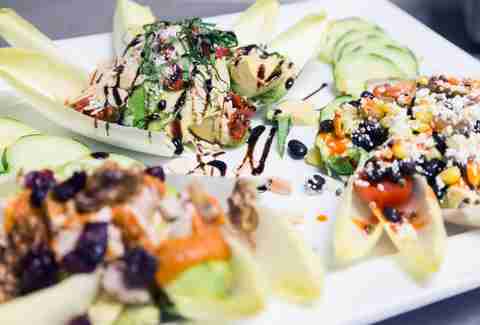 Their vegetarian options take up a good chunk of the menu, too, leaving you with the plenty of reasons to keep coming back at any time of the day. Yucatan Taco Stand recently opened on Lower Greenville, by way of Fort Worth, and their food is nothing to scoff about. Their nachos stack as big as your head, maybe even bigger. 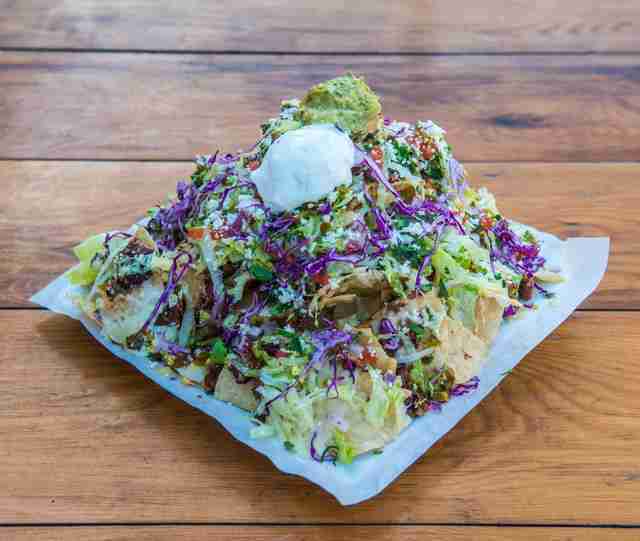 If you think you've seen nachos piled high, you haven't seen these nachos yet. Plan to split these with another person, unless you think you have enough room in your stomach for the rest of the week. Sushi has this reputation for only being raw fish. This misrepresentation limits the amount of people being able to experience amazing sushi without wanting meat. Blue Sushi Sake Grill has just the menu for those people. 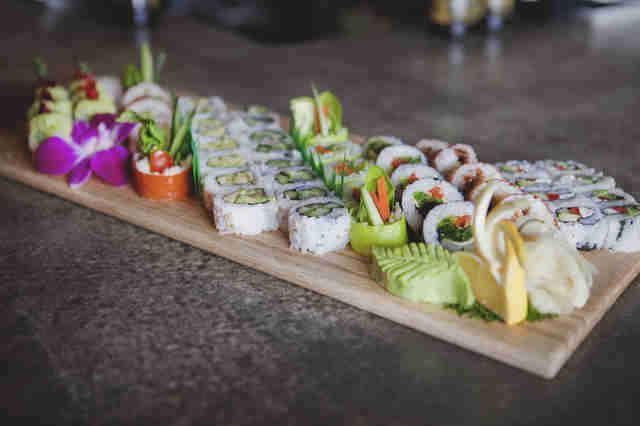 They have a full vegetarian/vegan sushi menu that has numerous options that all sound amazing. Their shojin maki comes with bbq seitan, grilled asparagus, pineapple, shallot, bibb lettuce, nori, soy paper, sweet soy and is one of the best sushi rolls that I’ve ever had. Strangeways has become one of the most loved dive-bars in Dallas. Their drink menu is staggering, and if you’re really wanting to battle the night after a few shots of tequila and some cervezas, you’re going to have to get their elotes. The portion is huge and will give you enough energy to carry on with more liquid courage and a full stomach. Pizza Lounge has always been THE go-to place for late night munchies. It’s hard to pass up pizza at 3am, and this is one place that knows that demographic. Their Nickel Bag/Dime Bag pizza is the night cap to end all night caps. It’s made with sautéed secretly (don’t ask because they won't tell you) raised spinach, mozzarella, sharp provolone, broccolini, rapine, freshly picked budsil, and a secret ingredient perfected with a lid of their house white sauce. 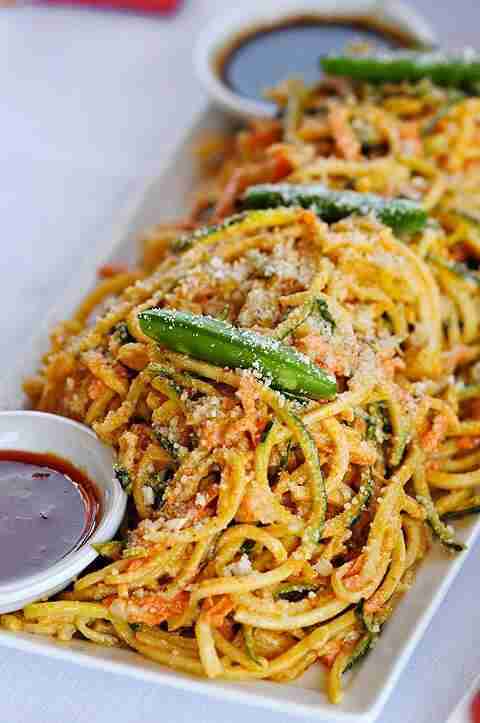 It’ll send your late night hunger woes to rest. They say breakfast is the most important meal of the day. If that’s the case, then Good 2 Go Taco is the most important place to go to any day. If you’ve never been, you’re definitely missing out. While it is a hike past White Rock Lake, it’s one that’s well worth the reward. 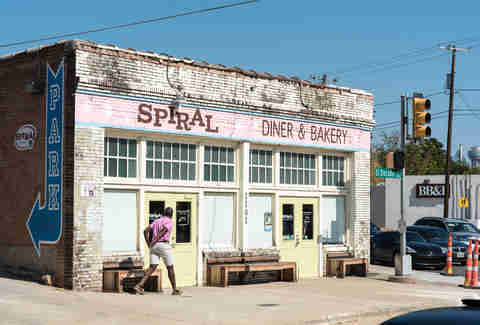 Nestled inside the building, you’ll also find Cultivar Coffee to get your day started as well as a huge list of the weirdest breakfast tacos that are capable of curing any hangover. The Green Machine is filled with sweet potato hash, spinach, charred broccoli, and super powers to soak up any residual grain alcohol. Lucas Buckels is a freelance writer in Dallas, TX who just learned seitan is pronounced like the lord of darkness.